Even though the next few weeks promise to be full of parties, holiday kid-events, challenges, a wild-child jacked up on sugar cookies, and a stupid amount of cooking and baking, I do enjoy it. But I learned last year, it's so easy to get lost in it all. 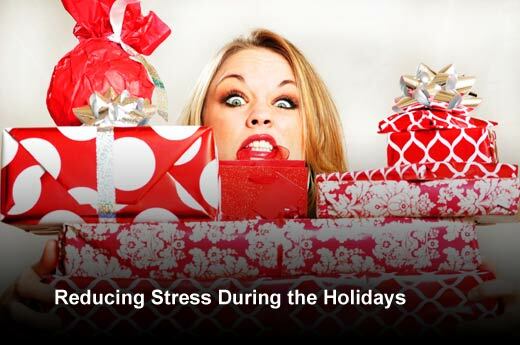 Or more to the point, spend the majority of the holiday season stressed out trying to keep everything on track. I'm determined to make this year different. Better. Most of all, I don't want to be a stressed out cranky scrooge! I want to find a happy balance between Holiday Madness and the simple sweet moments that mean so much to my family. As a kid, I LOVED the holidays and now that I have one, the traditions are fun all over again. Seeing my son's face light up at the magic of the holidays is AMAZING. Which, is why I have a tendency to over do it for my child. I accept every party invite, sign-on to every kid-friendly event, over buy, over give, and overextend myself. As I sit here, the boys at school, Professor the cat is keeping my feet warm, I'm taking this quiet peaceful time to remind myself that the next few weeks are a magical time that I will never get back. I don't want to miss it running around with my head cut off! I've decided this year to make a list, and use a written calendar to make sure I stay on track, plan ahead and DO NOT overextend myself or family. Life can get so crazy and stressful around the holidays. That's a given. Being that I'm already stressing and know how bad that is, especially this time of year, I'm determined to slow down, enjoy the simple things, and not try to pack in a lifetime of holidays memories in one year. When my son is older, there will be a time for all that. This year, I want to cherish the simple sweet moments. Something tells me, they will be the best. What about you? Do you overextend or have you learned to slow down? What's the secret to a perfectly balanced holiday season?